Virtual reality and augmented reality are becoming more common these days as more people and companies embrace them. But what happens when a relatively non-technical company wants to create something ambitious for a VR or AR audience? Marxent, a startup in Dayton, Ohio, wants to make the CMS (content management system) for companies’ new virtual and augmented reality applications. The company’s VisualCommerce product is designed to make it easy for companies with huge product catalogs to use virtual and/or augmented reality to sell what they have. The startup uses a three-pronged approach: Marxent will help businesses build applications that take advantage of the new technologies, develop a pipeline for getting objects into its CMS using 3D scanning, and then manage the service going forward. It seems like a solid option for companies that want to show off their wares in VR or AR without building a dedicated tech team just to write that app. Marxent already has several high-profile clients, including Lowe’s Home Improvement, TimberTech, AZEK Building Supplies and Simmons Bedding Company. It’s a business that has the potential to explode over the coming years as more consumers and companies make the jump into VR and AR. 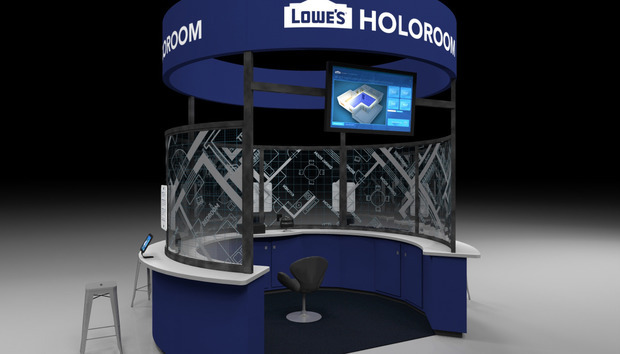 Existing products like the Lowe’s Holoroom, which lets consumers design a room using products sold at the popular home improvement retailer and then tour the finished product in virtual reality before making a purchase, could drive more spending. If Lowe’s ends up making more money because people are designing everything at home before pulling the trigger on a kitchen remodel worth tens of thousands of dollars, expect its competitors to follow suit. Overall, the growth of commercial applications like Marxent's will probably help to get VR and AR technology, like headsets and software, out to more consumers. After all, it will be in retailers' interest to bring that technology to users more readily.